The Yorkshire team of nationwide housebuilder Miller Homes has grown its staff portfolio as sales remain strong. Chris Jones, 33, from Leeds has taken up the position of senior quantity surveyor and Mark Whittaker, 52, from Yarm, the post of production director. 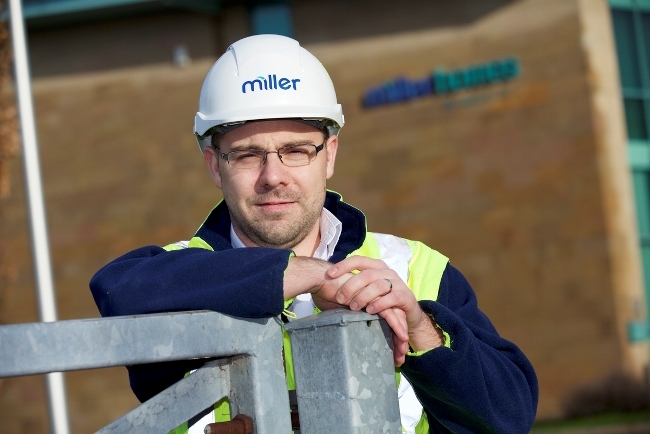 “It’s very positive news that we can continue to employ new staff, a necessity to cope with the strong sales and prospective land acquisitions that we are working on,” said Andy Davies, operations director Miller Homes Yorkshire. Both have enjoyed prosperous careers to date in the industry across a variety of areas bringing a wealth of experience and depth of knowledge to key positions in the team. The housebuilder currently has nine developments across the region with properties ranging from one bedroom apartments to five bedroom luxury homes. It places quality of build and quality of customer service at the top of its business ethos and this is documented in its ‘The Miller Difference’ policy designed to support a positive house buying experience at all stages of the process. It is proud to retain its five star housebuilder status, has a number of its site managers that are holders of NHBC Pride in the Job awards which recognises site safety and, in its latest customer satisfaction survey, over 97 per cent of its customers would recommend them to a friend. Andy said: “We run a very tight ship in the Yorkshire region and have a strong, knowledgeable and dedicated team who epitomise the core values of the business and the industry. “We remain focused in building our homes in key areas of the region and tailor our developments to support the housing needs of that local community. During 2016 further developments – Privas Court at Wetherby and Chene Hall at Harrogate will open in the first half of the year. Other developments are planned for later in the year.